We have recently announced a special project to create several decks of playing cards that feature the artists on ArtWanted. We are very excited about this project and hope we can get lots of participation from our talented members. This project will be moving through various phases throughout the year, so we decided to create this project message thread to share updates on the project. Each time we have something to share about the project, or a deadline is coming up, we will post it here. You can always come back here for the latest information on the playing card project. This message thread has been locked, so only our staff can post updates. This has been done to keep the thread clean and on topic. If you have questions about the project, we invite you to submit a support ticket, and we will get right back with you. We want to thank everyone that has already submitted their artwork for the Artist Playing Card project! For those that have not, what are you waiting for? There are less than 2 weeks left to submit your animal artwork for the first deck of playing cards. The deadline in April 15th. We will be collecting images for the Fantasy/Sci-Fi deck until April 30th, 2018. 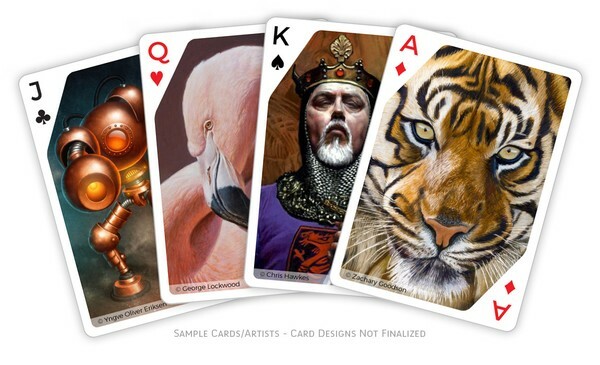 Previously, artists were only able to upload 2 images for the Fantasy/Sci-Fi playing card deck. To add more variety to the deck artwork, we have increased the upload limits for this deck. Now artists can submit 2 images for each theme (Fantasy & Sci-Fi) for a total of 4 images for this deck. If you have additional artwork you would like to upload to this deck, please visit the upload page and upload your additional images. Thanks! We have now entered the voting phase for the Artist Playing Card project! All members of ArtWanted are invited and encouraged to review the animal artwork submitted for this project and vote on your favorites. First, visit our voting page. You will be shown a random image and asked to rate that artwork from 1-5 stars (higher being better). If you wish, you can also type in an optional artwork comment for the artist while rating. After voting, you will be shown another image to vote on. You can vote for as many images as you like. Voting will be open on the Animals artwork for two weeks and will end on April 30th. 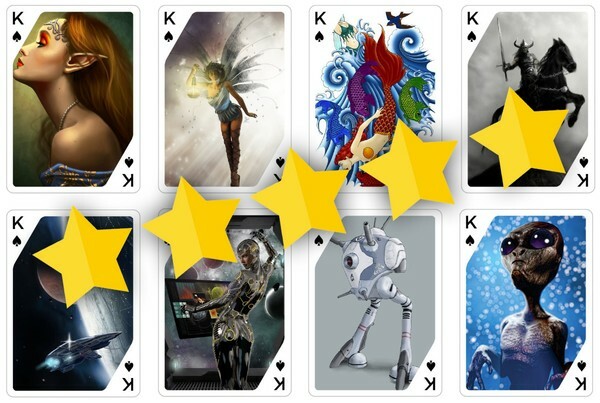 Voting for the other playing card deck (Fantasy/Sci-Fi) will happen in May. There will be 54 different artists chosen for this animal deck. The artwork with the highest rating will be chosen to be included in the final product. If an artist has two images that qualify, only one of those images will be selected to allow additional artists to be included. Qualifying winners of this contest will be notified within the first few weeks of May. Those artists will need to confirm they want to participate in the playing card project. We will also ask these artists for additional information for the project and be required to sign a short artwork release statement. If there are artists that do not fill out all the required information, they will not be included with the project and we will allow other artists to participate, based on their artwork rating. We have made the decision to extend the entry deadline of the Fantasy/Sci-Fi Playing Card Deck from April 30th to May 15th. You now have 2 additional weeks to submit your artwork that meets this theme. This change was done for several reasons. The biggest is that we are not able to have two Kickstarter Campaigns running at the same time, so we have to spread out the dates between the Animals deck and the Fantasy/Sci-Fi deck. This also allows us to get a few more entries for this theme. To enter your artwork for this contests, visit the upload page. We want to thank all the members of ArtWanted that took the time to vote for the Animals artwork theme. We had over 78,000 votes placed for the playing card artwork, which was amazing! Every submitted image received over 200 individual votes, which gave every image a very fair overall rating. Our staff will spend the next week reviewing all of the top voted images and sending out e-mails to those artists that were selected to participate in this project. All e-mails will be sent out to the winners by May 10th, with instructions on the next steps for the project. If an artist had both of their submitted images in the top group, we will only be accepting one of them, to allow for more artists to participate in the project. There were so many great artwork entries received for this project. We were amazed by all of the talent that we saw. Due to the number of images submitted, only 1 in 8 images will be finalists, so don’t get discouraged if your artwork was not chosen for this project. We hope to have many other projects in the future to allow for more artists to showcase their work. We are still accepting artwork entries for our Fantasy/Sci-Fi playing card deck project through May 15th. After this, we will do another round of voting for these images, which will start on May 16th. We hope to see just as many votes as the animal artwork received. Stay tuned for more project updates and good luck to everyone that entered! We have just sent out the e-mails for the Animal artwork voting results. 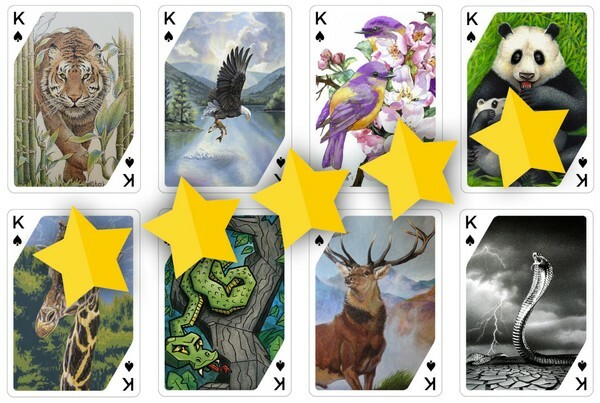 If you submitted artwork for this playing card theme, you should now have an e-mail about your results. If you submitted images and you didn’t see an e-mail, you can also visit the Upload Artwork page to see your results and voting breakdown. Congratulations to the top 54 artists that made it into this first playing card deck! Watch for an e-mail next week that will have additional details about the project and next steps. We hope this project is a success, so we can continue to create more playing card decks and feature additional artists in the future. We are still accepting artwork for the Fantasy/Sci-Fi theme through May 15th. Voting on these images will start on May 16th. Good luck everyone! We have now entered the voting phase for the Artist Playing Card project! All members of ArtWanted are invited and encouraged to review the Fantasy/Sci-Fi artwork submitted for this project and vote on your favorites. We wanted everyone to know that we have extended the voting deadline from May 31st to June 7th for the Fantasy/Sci-Fi artwork deck. We received so many entries for this deck, that we want to make sure there is enough time to vote for all the entries from as many members as possible. After the voting ends, we will be announcing the winners via e-mail on or before June 15th. If you haven't voted yet for this artwork, click the link below and get voting! We wanted to share a quick update on the artist playing card project, which was announced earlier this year. Due to multiple factors, the card project was put on hold and was not produced this fall as originally anticipated. The good news is that we still love the idea and are planning to continue with the project plans early next year. Artists that were accepted into the animal card project as finalists will still be part of the project, assuming the required steps are completed before we go into production next year. The final artists for the Fantasy/Sci-Fi deck have not yet been chosen and will be selected when the card projects start back up again next year. We thank you for your interest in the artist playing cards project and we look forward to sharing more updates with you in the future.